This is the time of the year for all kinds of comfort food recipes. The cool weather has settled in, the trees are dropping leaves, and there is currently a fire snapping and crackling right behind me. I love this time of year. It brings such awesome times with friends and family. 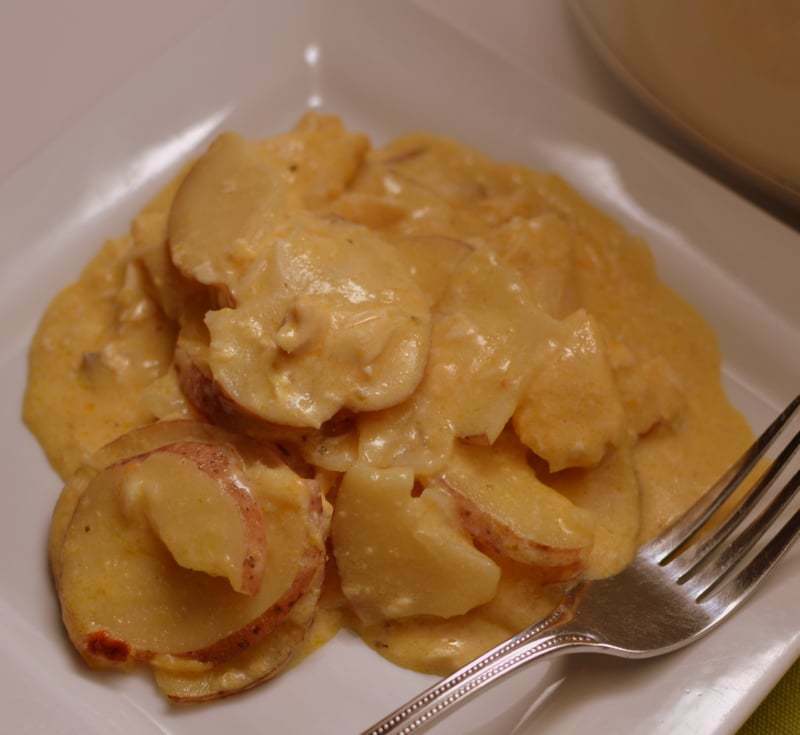 Of course if you are willing you can make that happen anytime of the year and you can enjoy comfort food recipes anytime of the year as well. 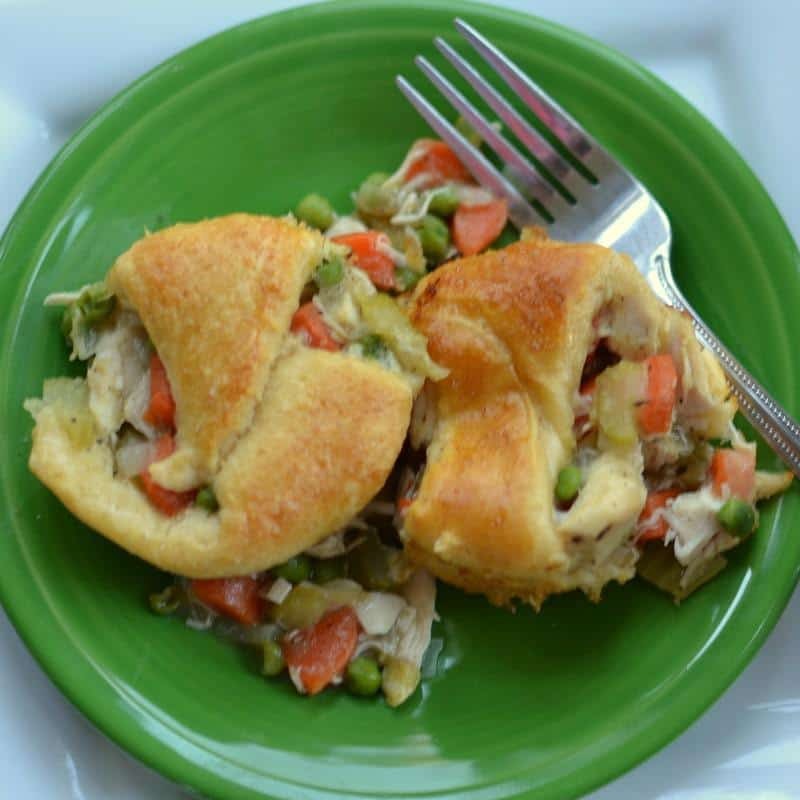 I made these little tasty Mini Chicken Pot Pies for lunch but they would be great for dinner as well. 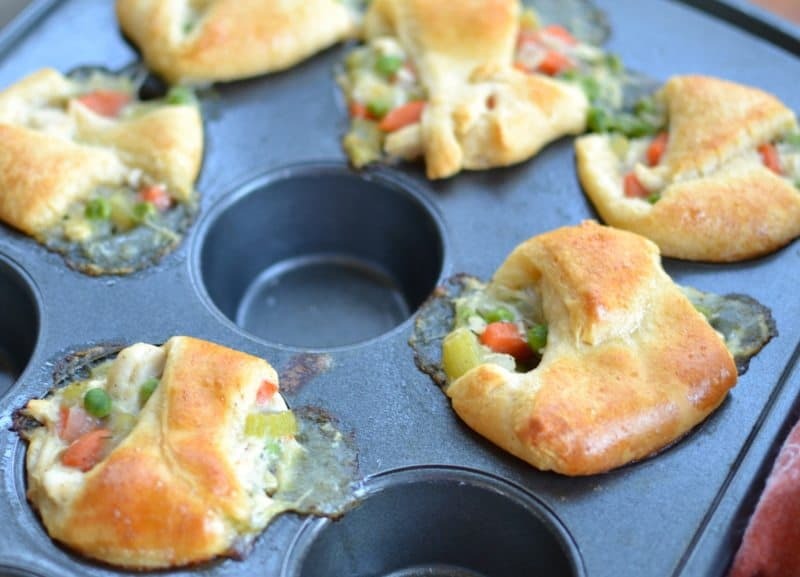 You could serve them with a small side salad or a fresh bowl of fruit. 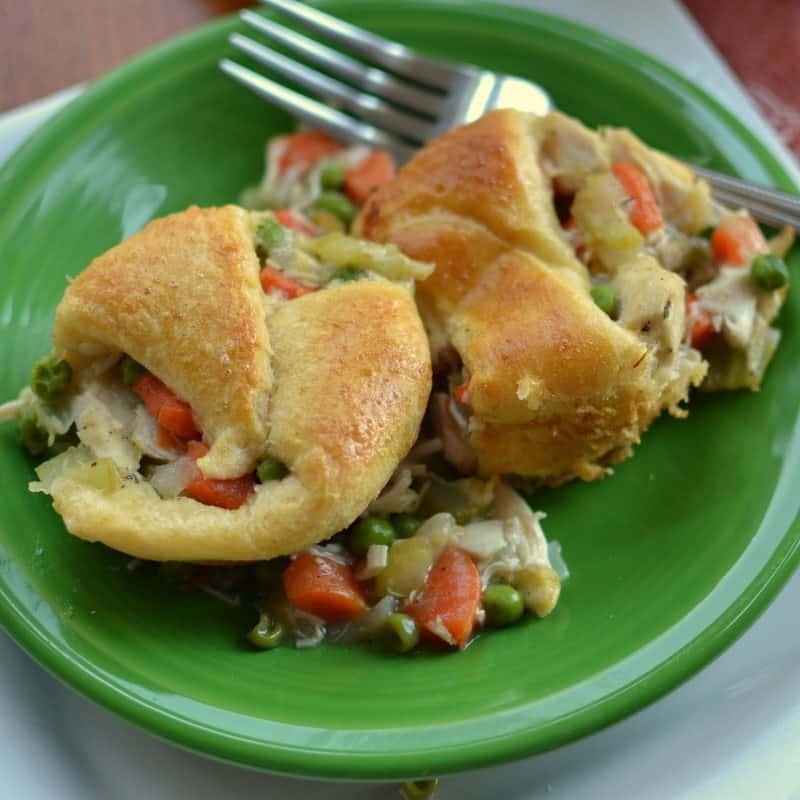 These tasty Mini Chicken Pot Pies are filled with chicken, onions, carrots, and celery that has been simmered in a thick perfectly seasoned gravy. 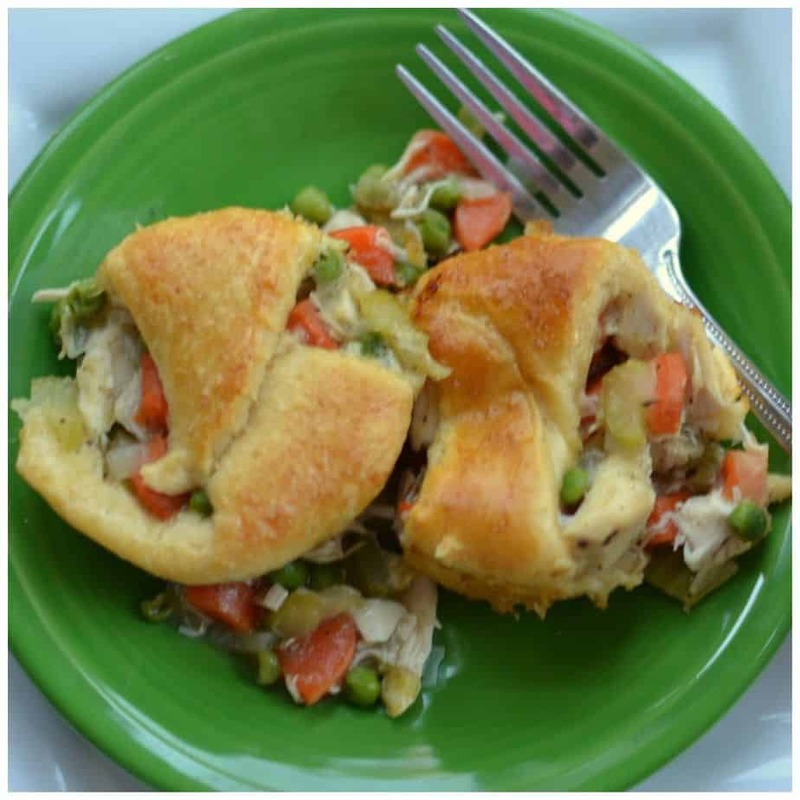 This recipe comes together so easily as it calls for canned crescent rolls for the dough. You can use cooked chicken or turkey for the filling. This is a great way to use up leftover Thanksgiving and Christmas turkeys. They are kid friendly and Mother approved however that would not hold up as hand pies. I do not know any chicken pot pies that would. I brush the tops with beaten egg white so they look nice but if you are in a hurry and busy as a bee skip that step. My hubby loves these and I hope you do too!!! In large saucepan over medium heat melt butter. Add onion, celery and carrots and cook for 5-7 minutes or until the onions start to soften and brown on the edges; stirring frequently. Add 1 cup chicken broth, garlic powder, onion powder, basil and thyme. Simmer 15-20 minutes or until carrots are tender. Add peas and chicken; simmer for 5 minutes. Stir 1/2 cup chicken broth and cornstarch together. Slowly add to chicken mixture. Simmer for 5 minutes. Remove from heat and allow to cool for 10 minutes. Spray 8 slots of a standard cupcake pan with nonstick cooking spray. Lay crescent roll over each slot centering. Heap rounded tablespoon of the chicken mixture right in the middle. On the side that is the widest bring those two corners in. Then take the pointy long end and drape it over the two corners. Brush tops with beaten egg white. Bake for 15-18 minutes.Allow to cool for 5 minutes. Run knife around edge and carefully scoop out with spoon. 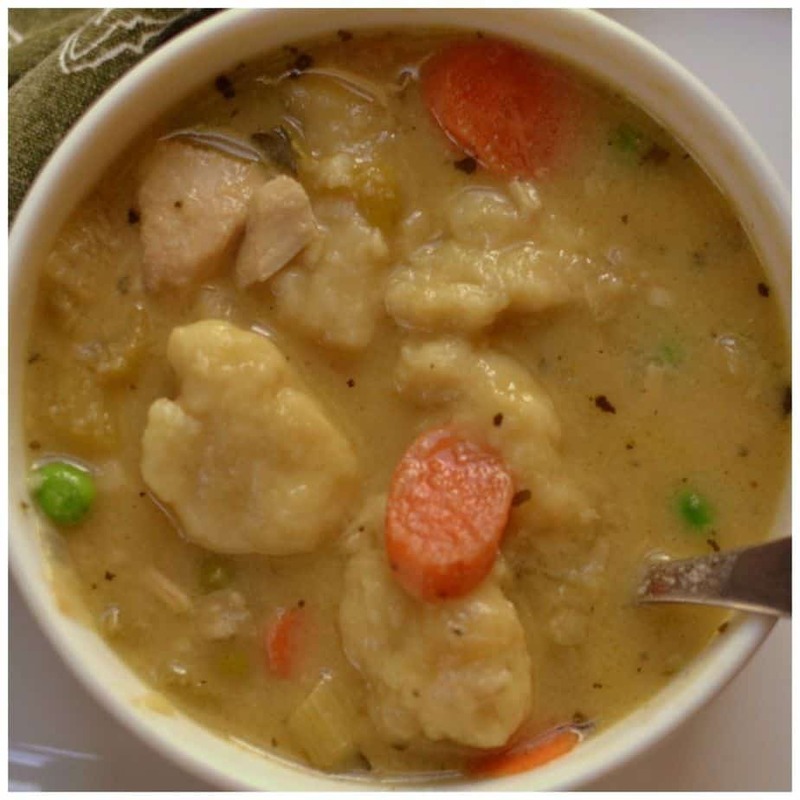 Other chicken recipes you will love!! 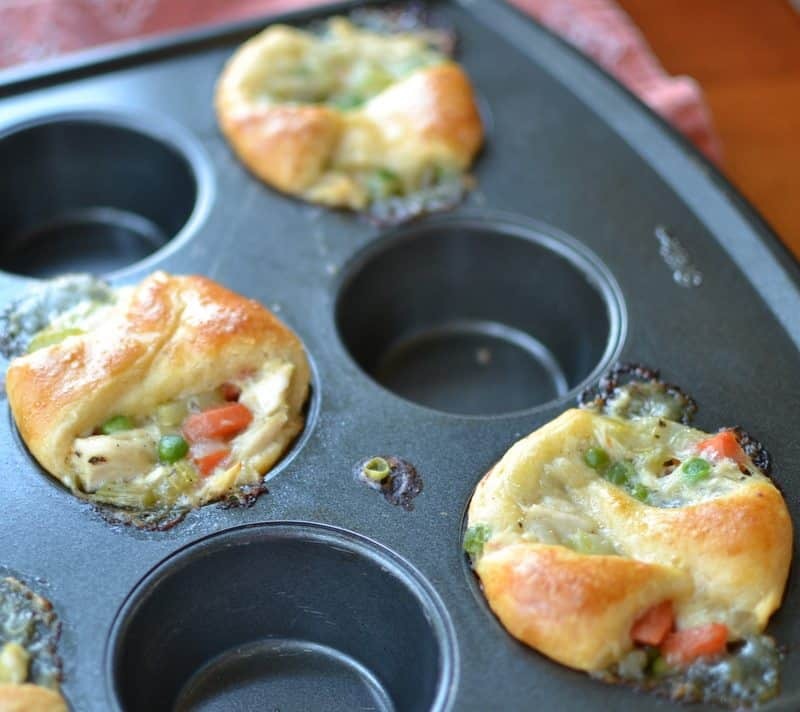 Great for part of a brunch or lunch!